Featuring a rolling terrain of cedar trees, mature woods, and breathtaking views of the St. Croix River Valley. 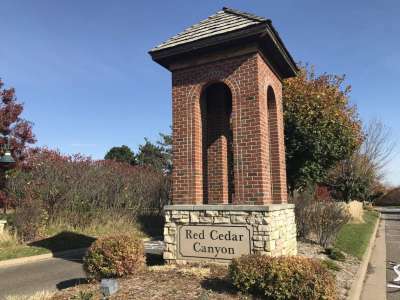 Residents in this Hudson WI neighborhood enjoy the association maintained community walking trails, which take you both around the neighborhood and through the, “Canyon” area. You will pass such features as the baseball and soccer fields, basketball court, and tennis courts, which is also association maintained and for the private use of Red Cedar Canyon residents. This spectacular setting where natural beauty and in-town convenience are combined with classic neighborhoods, quiet drives and abundant green space. Offering a mix of single family homes for sale, townhomes, condos, and rentals, Red Cedar Canyon has a home for every buyer. And…. it’s just a quick 20 minutes east of the Minneapolis/St. Paul Metro Area!